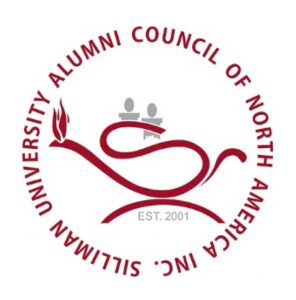 Welcome to the website of the Silliman University Alumni Council of North America (SUACONA). SUACONA is the umbrella organization of the chapters representing the alumni and friends of Silliman University residing in the United States and Canada. The SUACONA logo displays prominently the Lamp with Open Flame, carefully fashioned from the official logo of Silliman University. It is a symbol of the wisdom and spirit that everyone who enters its gates is imbued with, and as light to the world for everyone who leaves its portals. As such, every graduate who passes through this institution serves as light for his fellowmen and the university itself, as a beacon of truth. This resplendent design of the lamp, which is now the official logo of SUACONA, was artistically designed by Marty Visitacion. The songs you hear when logging in are “Hymn to SUACONA” as sung by the Celebration Choir of Atonement Lutheran Church of Wesley Chapel, FL and both “Silliman Song” and “Hurrah! Silliman!” as sung by the Silliman University Campus Choristers. The music should play automatically. If it does not, click on the Music icon below.